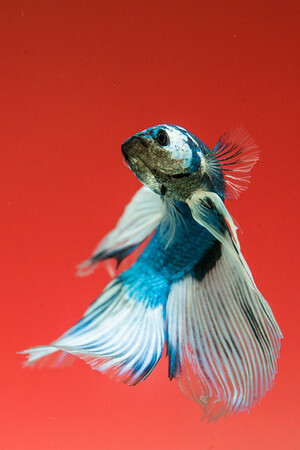 Over the course of a few months I examined, observed, and generally studied Siamese Fighting Fish, or Bettas. 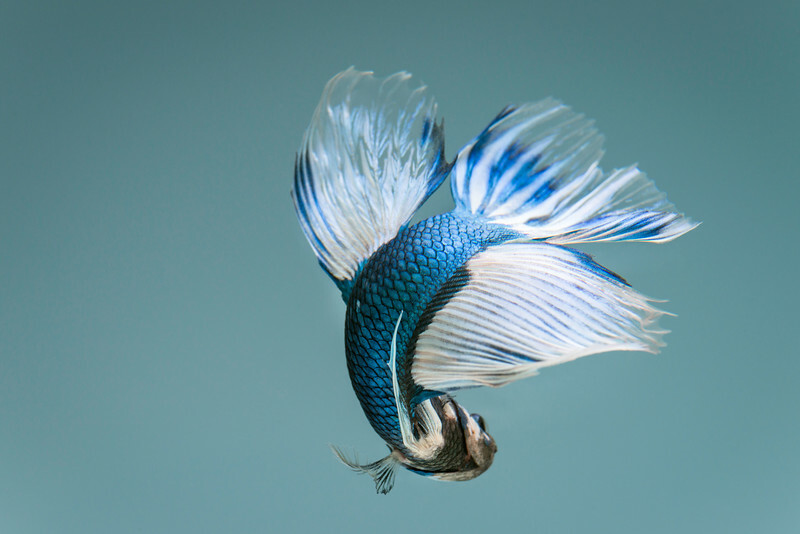 These fish, native to the Mekong Basin of Southeast Asia, are extremely territorial and compete with each other for resources, hence being named fighting fish. Their vibrant colors, peacock-like feathers (opercula), and general low maintenance make these puddle dwellers ideal aquarium pets. In the wild the species is listed as vulnerable as their habitat is encroached upon and increasing human interference contaminates water supplies. 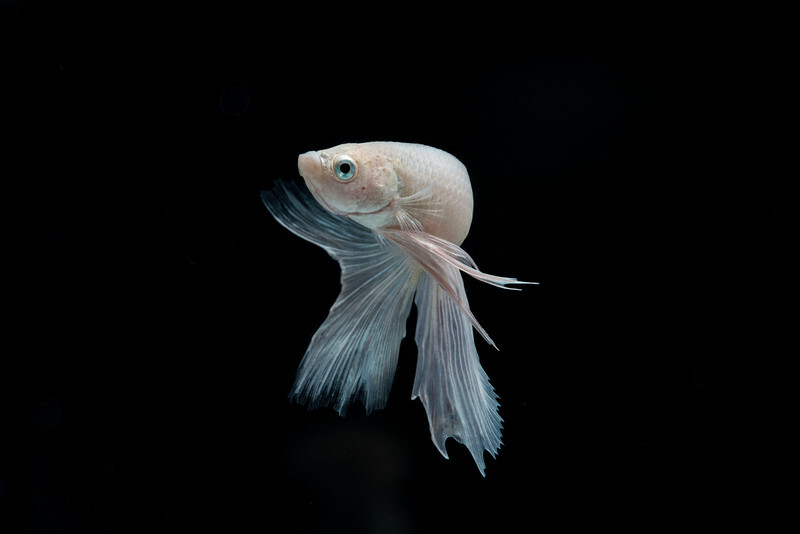 Despite the adversity facing Bettas their magnificence is staggering and their resilience is apparent. I was inspired by the colors and spectacle of these fish and intrigued by the photographic challenge of photographing underwater subjects. Setting out to photograph very forensic, straightforward portraits of fish it was quickly evidenced how mundane and repetitive that would become. I became immediately attached to the fish I was photographing, naming each one individually and observing their unique personalities. 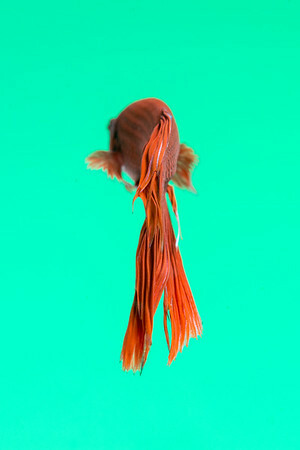 The natural moody model pose and elegant movements of the fish lead me to switch to a study of movement and color. 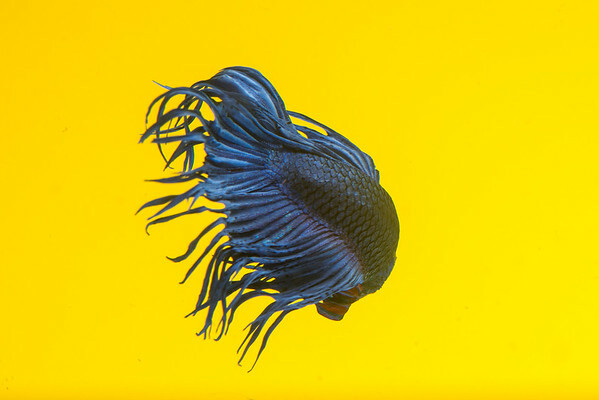 Utilizing complementary color schemes between the fish and backgrounds highlights the colors of both the scales and personas of the fish. 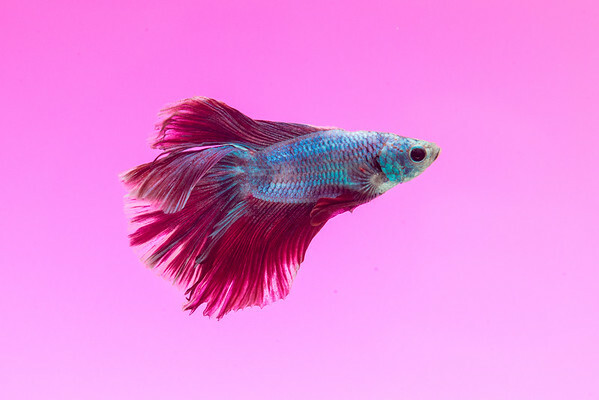 After the redirect of the project I began photographing the fish similar to high fashion catalog images, aiming to capture the pinnacle movement and decisive moment of a turn, twist, or flip. I achieved these pinnacle movements and large scale prints by utilizing top of the line resolution and high speed flash to freeze moments of time.